A group of over 50 of Northern Ireland’s most respected charities – including Queen’s Foundation – has joined forces to raise awareness of legacy gifts during Will to Give Week (6-12 November). November 6-12 has been dedicated by the Will to Give consortium to promote charitable gifts in wills – an increasingly popular way of philanthropic giving. 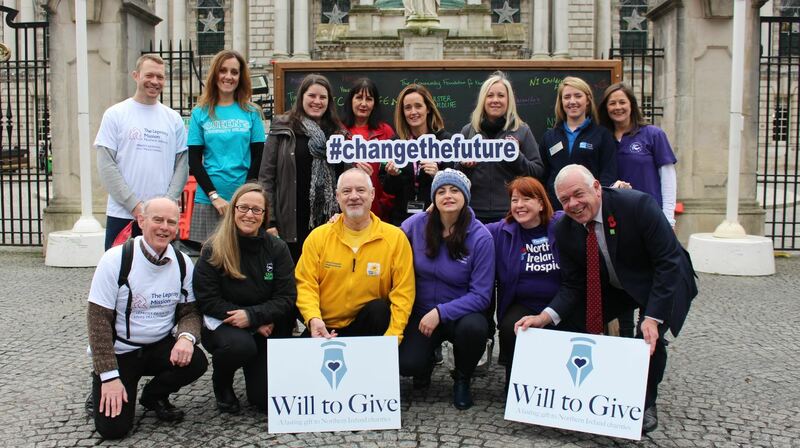 Using the hashtag #changethefuture the consortium is seeking to highlight the importance of legacy gifts and to encourage and promote legacy giving to people across Northern Ireland. Adding her support to Will to Give Week Susan Wilson, Legacy Manager at Queen’s University said: “Having an up-to-date will in place is the only way to guarantee that family and loved ones are looked after once we die – and it’s a great way to make sure our own personal wishes are honoured. “Queen’s is delighted to be part of the consortium helping to raise awareness of the importance of local legacy giving. A legacy is a truly inspiring way to show you care and – for the charity – can be hugely transformational. Helen Carrick, Head of Major Gifts at Queen’s University added: “We all know how generous people in Northern Ireland are when it comes to supporting good causes. Gifts in wills really are vital to charities like Queen’s. Gifts to Queen’s are channelled through The Queen's University of Belfast Foundation, which exists to advance the strategic goals and objectives of the University. Funds raised by the Foundation ensure that Queen’s can compete with the best around the world by giving students – researchers and staff – the tools they need to maximise their potential in an environment which encourages international excellence. To find out more about Will to Give Week 2017, or if you are considering leaving a legacy to Queen’s, please contact Susan Wilson, tel: +44 (0)28 9097 3162.